Here @ Renume beauty Salon in Woolmer Green, Knebworth, we specialise in the application of MoroccanTan. Our therapists are fully trained in the application of the Moroccan tan system, we have a full-size professional walk-in spray booth and changing facilities within the same room. Our therapist will apply A light application of MoroccanTan by airbrush. The colour comes out straight away and you will see the flawless tan on your skin. Suitable for all skin types, with choices of lighter and darker tans with 2-4 hours develop time. 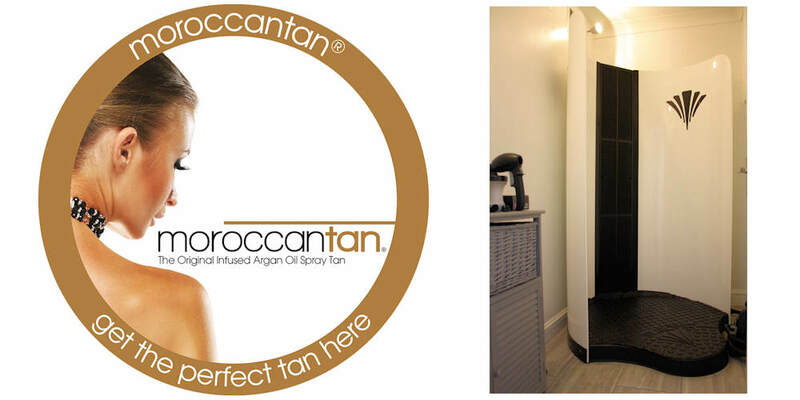 Since its creation in 2011, Australian brand MoroccanTan has taken the sunless tanning industry by storm. The original argan oil-infused spray tan has already successfully captured the Australian and New Zealand markets and is now fast becoming the tanning brand of choice in the UK and Ireland. The unique Moroccan Blend™ colour technology and Moisture Lock formulation help soften and moisturise your skin while creating the perfect natural bronze tan with a beautiful healthy glow. It’s unique blend of organic Argan Oil, Vitamin E and Aloe Vera deliver a long-lasting, natural looking tan. Carefully selected ingredients reinforce MoroccanTan’s philosophy of the importance of skincare offering natural and organic-based products free from alcohol, polyethylene glycol (PEG) and parabens. The range is also proudly cruelty-free and vegan-friendly.